sound_distributors has no other items for sale. BLACK, GRAY, RED, TEAL, BLUE, CAMOUFLAGE - BRAND NEW! 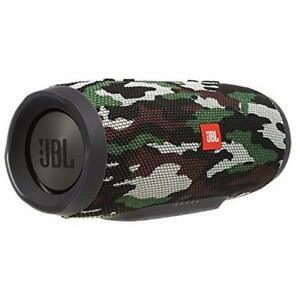 This is Charge3 Portable Bluetooth speaker by JBL Harman. It offers 20 hours of playtime and Wireless Bluetooth streaming Wirelessly connect up to 3 smartphones or tablets to the speaker and take turns playing powerful stereo sound. 6000mAH power bank Built-in rechargeable Li-ion battery supports up to 20 hours of playtime and charges smartphones and tablets via USB. Speakerphone Take crystal clear calls from your speaker with the touch of a button thanks to the noise and echo-cancelling speakerphone. Sales tax may apply when shipping to: AZ(7.764%), CA(8.269%), CO*(7.432%), CT*(6.35%), FL*(6.653%), GA*(6.962%), HI*(4.24%), IL*(7.351%), IN*(7.0%), IA*, KS*(8.594%), KY*(6.0%), LA(9.58%), MD(6.0%), MA(6.25%), MI*(6.0%), MN*, NV(7.883%), NJ*(7.0%), NC*(6.911%), OH*(7.097%), OK(7.86%), PA*(6.098%), SC*(7.298%), TN*(9.45%), TX*(8.25%), UT(6.577%), VA(5.457%), WA*, WI*(5.389%). Great item!! Definitely will buy again in the future. Brand new in box and bag perfect condition 💯💯 Can’t believe it came in 1 day! Very fast to process and ship!! This transaction was great and the speaker is the BOMB! A+ seller all the way!!! These speakers I believe to be some of the best out there for the price. 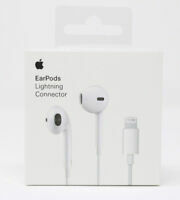 Getting them used is even less expensive which I believe to be a very good value. They are rated IPX7 waterproof which is more than enough protection for general use, I have even taken them in the mud with my four wheeler with no issues and they still are just as clear and loud as before. These speakers can also be linked together up to 100 at a time! They are all compatible to do this I believe. Great buy for any occasion. Bought a JBL Charge 2 for my grandson which was a great speaker, but this Charge 3 is even better. I would highly recommend this speaker to anyone who is looking for a quality sound bluetooth speaker which can also charge cell phones. Long battery life, it will play for around 20-hours before needing a recharge. If you listen to music on a regular basis and need something portable don't look anywhere else other than JBL this is my second one in camo I have the flip 4 and now the charge 3 and they can be linked together to really bring a gathering to another level. 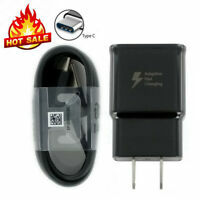 It sounds amazing the battery lasts a very long time and it will charge a cell phone what more could you ask for! Buy this for commercial free music when you stream. Love this product, it's smaller and louder then my Explod radio without the static and commercials., because of the Xmas season, there's one song and 5 Xmas commercials, so, I stream my music. Loved it so much, bought 2, one for work and one for home.